Crann Mhor Holiday Home is a holiday home situated in Lochgoilhead. Complimentary private parking is available on site. Providing access to a balcony with mountain views, the holiday home consists of 4 bedrooms and a fully equipped kitchen. A flat-screen TV is provided. Oban is 56.5 miles from the holiday home, while Paisley is 29.2 miles from the property. 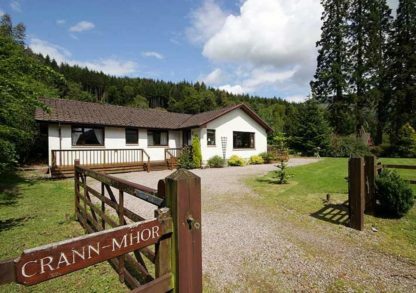 The nearest airport is Glasgow Airport, 45.4 miles from the property.